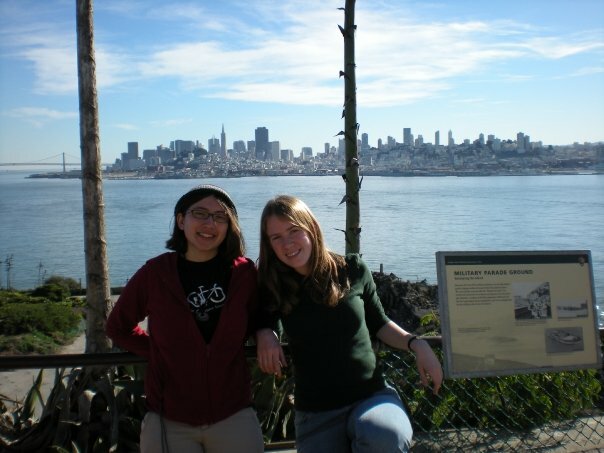 When I was 19 years old, my friend Lauren called me one afternoon, giddy about the fact that she had found two very cheap plane tickets from Minneapolis to San Francisco at the beginning of January 2009. Lauren and I had met the summer before in Yellowstone National Park where we were both waitresses in Canyon Lodge. She grew up less than a mile away from my cousins in Stillwater, Minnesota and when we met in Yellowstone, we were together for some of the most formative moments we had that summer. We stayed up late drinking huckleberry mead even when we had to work the next morning, hiked to the top of Mount Washburn one morning at 4AM to watch the sunrise, day dreamed and talked about all the places we would go and people we would meet over coffee in the lounge in Canyon Lodge and on our last night in the park, when our other friends had left for Minnesota, we hiked to the top of the Lower Falls of the Yellowstone Canyon and lay down on the rocks. 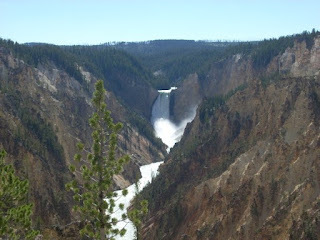 We looked up at the sky and listened to the water and the silence of the canyon and felt the whole world around us: joy and fear and youth and age and everything that had already and was about to happen to us. In short, Lauren brings out the best in me. I feel alive when I'm with her. I remember I was walking on University Avenue on a bridge above (the) 35W - depending on where in the country you are reading this from - when Lauren called me that fall day in 2008. I had just moved to Minneapolis and I was with a boy I had been dating. He was telling me about how he was planning on leaving the country for a few months and I was feeling jealous and restless just as my phone rang. Mostly to impress him with my spontaneity I agreed to go to San Francisco with Lauren that winter. This may have been one of the most defining moments of my life, since even though that fling did not last more than 3ish weeks, going on this trip taught me so much about myself and how well I function during adventure. I also learned that somehow Lauren and I are the prefect traveling companions. Every morning we woke up in the same mood - either full of energy, wanting to run all around the city, or sleepy and lazy and wanting to stop off at a coffee shop to read and take the morning slowly. During my first week-long trip to San Francisco, I felt so youthful, free and alive. Lauren and I would talk to anyone who crossed our path, the man who served us so much free tea in Chinatown we were not surprised when he tried asking her out later, the fisherman who wanted to go back to school for horticulture in his 40's, the woman who's home we couchsurfed at for the week and the others who we shared her living room with. We were vagabonds. We slept in the airport one night, a hostel another and we stayed with a woman who generously opened her couches up to us for the rest of the week. We sang folk songs while we biked across the Golden Gate Bridge, read poetry at the City Lights Book Store, sat by the water along the piers and climbed Knob Hill to Grace Cathedral. This is the only photograph of both me and Lauren on this trip. We're at Alcatraz on our last day, loving the 70-degree weather in the middle of January. Just a couple of weeks ago, I was invited to go back to San Francisco with some new friends who were going for a long weekend. We drove up through half the state of California, which was something I wanted to do, and along the Pacific Coast Highway, which was absolutely on my bucket list! Took the whole day Friday to get there with the stops we made, but at the end of the day Sunday, after stopping off in San Jose to visit one of my old friends from Two Harbors who is living there, it only took about 5 hours to get back to LA. This trip to San Francisco made me feel more like an adult. We stayed in a hotel with views overlooking downtown, went to bars and drank wine and ate out at fancy restaurants several times. We didn't really have plans other than seeing friends of the folks I was with and wandering around the city, which was perfect because San Francisco is a perfect city for that. I had to convince those from LA to walk around with me since that's not exactly what you do in this city, but it was for the best because San Francisco is such a good city for seeing every building and every view and every street corner. It was a beautiful sunny day on Saturday and I always love being near the water and just getting out of my routine and doing something a little different with friends. Early morning, Saturday view of downtown from the hotel. Knob Hill and the most steepest, most twisty street in the city. The best thing about Ghirardelli is that every time you walk into the shop you get a free square of chocolate. You can also stare at all the melted chocolate being made in the huge machines. And then all the pictures of boats and the sea... my favorite part of being in a port city. Makes me think of home in Duluth. Then again, water in general makes me feel like home. Where the sealions hang out together. We were walking to Market St the next day to catch the BART over to the East Bay and meet some of Alfred's old friends when we ended up in Chinatown. That evening, the beginning of the celebration of the Chinese New Year was starting and even though it was raining, all the streets were full of people and decorations for the Year of the Dragon so we took a detour through the neighborhood. All in all, even though the experiences were totally different in the city, it was reaffirmed that San Francisco is an incredible city. Maybe its all in my mindset when I've gotten the chance to go there, but its good to know there are exciting, thriving and fun cities near by where I can go for a full weekend and feel alive. Maybe its something about traveling, but the conversations this city has left me refreshed and restored my sense of self.